About Integrated Computer Services, Inc.
Mike Cardella is CEO and founder of ICS (Integrated Computer Services, Inc.) and a Microsoft Certified Professional. He started his career in 2000 and after demonstrating his ability to develop and manage small business networks, he quickly ventured to start ICS in 2002. As a result of his strong work ethic and ability to rapidly learn new technologies, ICS saw immediate and persistent success and growth. Since the company's humble beginning, ICS has grown into a globally recognized Cloud Computing and Managed IT Service Provider, currently supporting over 2400 end users. Today, Mike leads a strong team of skilled IT professionals in providing enterprise grade solutions and services to both small and medium businesses. As a technology expert, he is often utilized by business owners and consultants to provide solutions to complex technology problems and overcome business challenges. His passion is to stay on the forefront of new technology, learn it and deploy it, in order to maximize his, and his clients' workforce productivity. In his spare time, he enjoys spending time with his family. 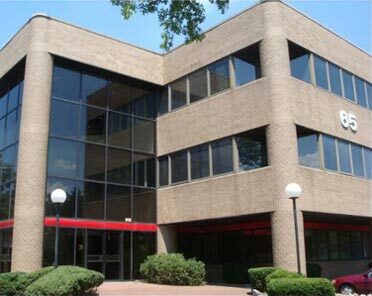 ICS is located at the Heritage Plaza II, 65 Harristown Road, Suite 309, Glen Rock, NJ and specializes in IT consulting and network support for businesses with 10 to 1000 employees and was established in 2002 offering an array of services for the SMB market including managed IT services, network installation and cloud migrations, network security and more. ICS has accumulated over 30 years of experience with its team and strives to meet the growing needs of SMB market. Integrated Computer Services strives to bring the best possible IT solutions to small and medium businesses in New Jersey. Our goal is to build and maintain quality relationships with our clients. We can assist your organization with system selection, topology planning, network design, long-term support and even system recovery. 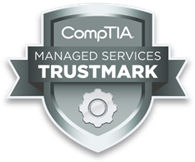 To ensure we can provide industry leading IT services, our technicians are CompTIA A+ and Network + Certified and Microsoft Certified Professionals. Whether you need a new server to increase productivity or a complete office automation system to reduce operating costs, we can assist you in making the best and most cost effective decision. We measure our success by our client's satisfaction.